The official iPad app of YachtWorld, featuring the world's largest selection of brokerage boats for sale. 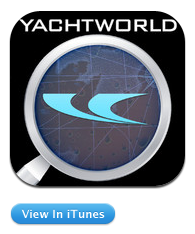 The YachtWorld iPad app gives you access to 120,000+ boats on YachtWorld.com. Search, browse and contact brokers – all within the app. The Home Page Categories will quickly get you to the type of boat you are looking for whether it's a Sail Boat, Motor Yacht, Super Yacht or Sport Fishing Boat. In addition to helping you find your next boat, the app features a showcase of photo stories from YachtWorld’s award-winning editorial team. Compare best-in-class brokerage models, view the latest designs inside and out, explore a superyacht or two, and try on some exotic charter yacht vacations for size. New Editorial Showcase stories are posted every week. It is very noticeable in Chicago as you walk down the lakefront and see water marks indicating the water level heights from years past. In some areas the marks extend two, sometimes three feet above the current water levels. A stark indication of how far down levels have dropped. This is consistent on the Michigan, Wisconsin , Illinois and Indiana shores of Lake Michigan. Lay publications have written stories about how this drought filled summer of 2012 and unseasonably warm Winter of 2011 help set the stage for record lows. (Chicago Tribune Story: October19, 2012). Add to this the unseasonably warm weather as of late and you have the makings of a record setting Winter of 2012. We were casually reminded just this week as the mercury reached a high of 75 on Monday December 3rd. Visitors from warmer climates, such as California or Florida have commented on how much warmer it is in Chicago as compared to their home states. The enclosed video from ABC affiliate WZZM-13 in Michigan speaks of islands forming off the coast of Saugatuck, MI. Calling the situation a 'disaster', one that not even frequent dredging can remedy. It has boaters of all kinds- commercial and recreational bracing themselves for a Spring shocker should this trend continue through out the upcoming Winter. Marina operators and the commercial boating industry are the hardest hit as state funds run dry. Reeling from the deficit laden budgets of the recent recession. The trend has many marine professionals concerned about what the future will bring. One thing is sure, if history is correct- this all comes in cycles and hopefully we are seeing the worst. Only time will tell.